Members of the Oxford Hills Rotary Club are a diverse group of civic minded individuals who take an active role in making our Oxford Hills a great place to live, work and play. We have about 30 members and are always receptive to adding more members to share the work, fun and fellowship. Oxford Hills Rotarians can be seen in the community delivering Food Baskets, presenting dictionaries to all third graders, co- hosting May Day Play Day with the Norway-Paris Kiwanis Club, assisting with Project Graduation, collecting items for Christmas for Teens, or awarding scholarships to graduating seniors. We raise funds to support these efforts through an Annual Auction, Lobster-Steakfest, Cheese Wheel Sales, Road Tolls and Raffles. 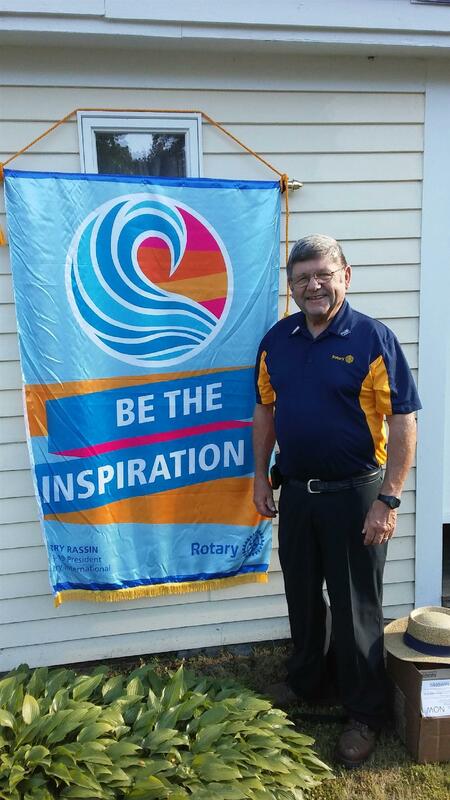 Rotary’s Motto is “Service Above Self” and Oxford Hills Rotarians have been providing service in our community for 35 years and for over 30 years have contributed to the worldwide effort to eradicate Polio from the face of the earth. We meet every Wednesday morning at 7:30 at the First Congregational Church in South Paris and would love to have visitors and share our enthusiasm with them. In recent years Rotary International has made some changes in its membership and attendance requirements to make it easier for busy people to participate. Having been a member of the Rotary Club of Oxford Hills for 35 years, it is with great pleasure that I am able to serve as Club President for the second time and would love to answer any questions any prospective members might have.